This article describes how to brand your community so that it matches your company design and is integrated with the experience of the rest of your website. Navigate to Admin > Header and click Upload logo. Browse to select your logo file and click Open. Your logo will be applied and is previewed here. Navigate to Admin > Themes. Click a color from the theme palette to view a live preview. Changes are automatically applied. For more details see Selecting a theme. Optionally, you can apply custom CSS to change the colors, fonts, and layout of your community. 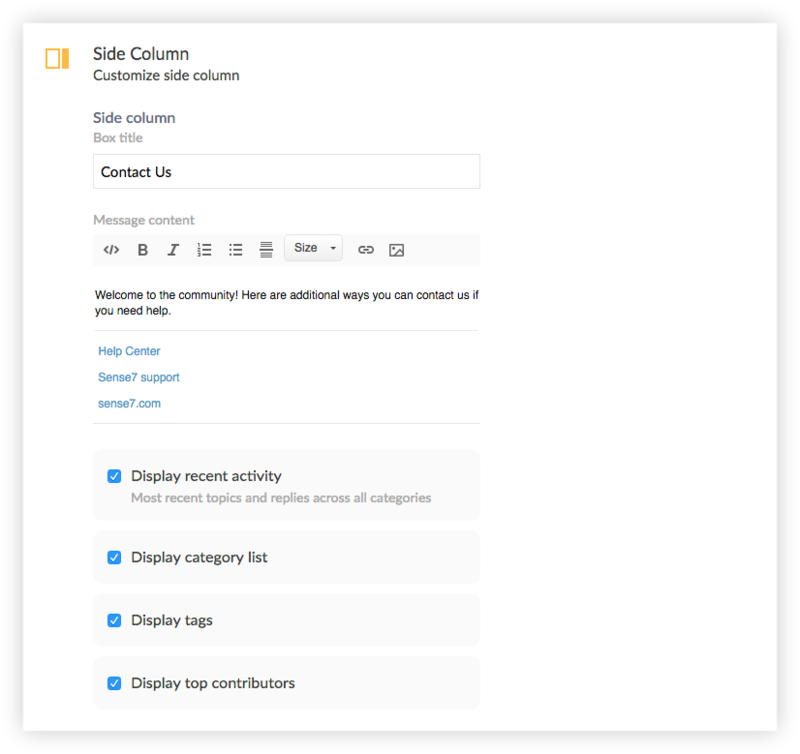 Navigate to Admin > Themes > Custom and click CSS. Navigate to Admin > Header > Settings to modify header settings. 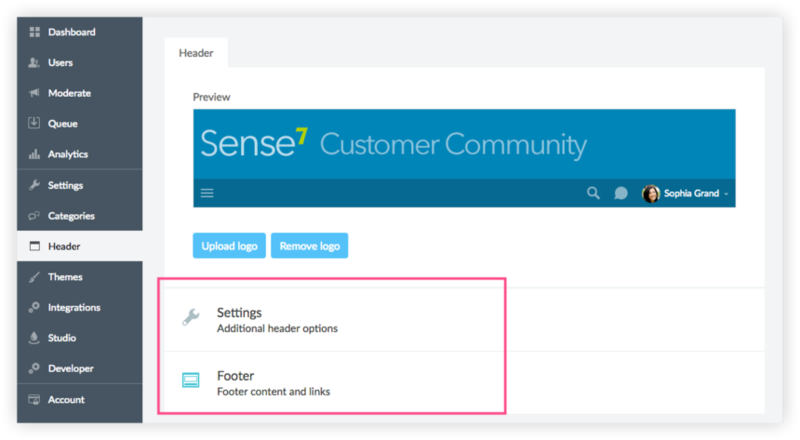 Click Footer to add text, images and links to the footer. See also Customizing the header and footer. Navigate to Admin > Settings > Content. 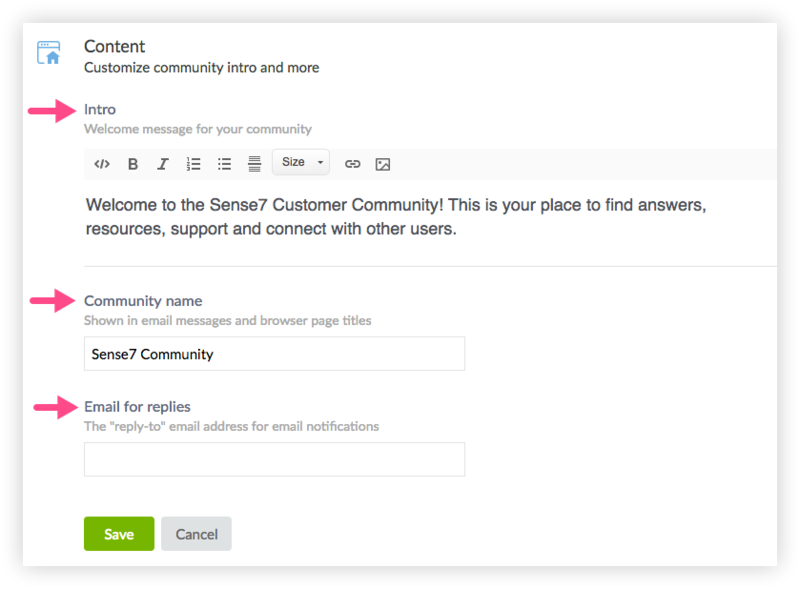 Add a community intro, edit the community name and add a "reply-to" email for notifications. Navigate to Admin > Settings > Side Column. You can post important information here such as post news, announcements and contact information. You can also show or hide other side column modules. Need a custom theme created? Great point, Sue! If you are comfortable editing CSS then you can use the CSS settings feature to add your overrides to any existing CSS class. Hi Tom, you can use your browser to inspect the CSS for the elements you want to change and find the class names. In Firefox and Chrome, right-click and select "Inspect element." We are also happy to assist with making any CSS changes you need. Send an email to support@forumbee.com with a description of the formatting changes you would like and we can make the changes to your account. How do I change the word "Community" in the header? Kaylee Williams We are happy to help with that! Your header is a custom graphic we created and we can update it for you. We'll follow up with you directly in email.